With 25 years in the area Kate has excellent local knowledge and a large network of contacts. Kate is married with two adult children and lives with her husband,horses,dog,cats and chooks. Kate enjoys cooking , the beach,gardening and family get togethers. Kate is passionate about providing service at a level that helps people through their sale or purchase with the minimum of stress. 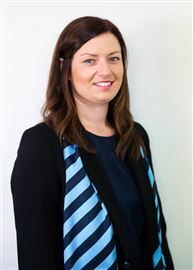 Lauren is our talented Office Manager at Harcourts St Helens. Her professionalism and commitment to excellence are evident in all her dealings with clients and staff. With extensive experience in sales and administration, Lauren is our dynamo behind the scenes, making sure things happen on time and in order. Before moving to the East Coast, Lauren worked in Aged Care and this definitely shines thru in her caring and selfless manner. Lauren is always attentive to our Clients needs and will bend over backwards to help anyone. 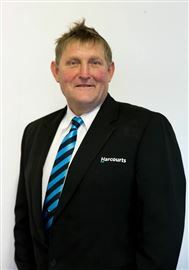 Tom is a true asset to the team at Harcourts St Helens, with over 30 years experience in the Realestate industry Tom is a wealth of knowledge. Affordable land in St Helens. Two Homes - One Great Price! Space and privacy in town! Sloop Cottage - Bay of Fires. Excellent value in St Marys! Is this your new block? 76 Acres of pure freedom! House and cottage = Income! Central with room to move. Sunshine & Room to Move! Bay of Fires Cottage - Dotril.